While there is no solid evidence to support this rumor, it is entirely plausible. It's long been possible to squeeze most of the functions of a PC into a case the size of a dongle like the Chromecast (shown in the lead photo), and quite a few models have been released over the past few years. Most plug into the HDMI port found on modern TVs and draw their power from that port, and they pack enough processing ability to run Android 4.0 or above. Existing devices work okay, so if Amazon released a dongle they should be able to offer a more than adequate movie watching experience. But can the same be said for gaming? I don't know, but it is possible. And Amazon's device wouldn't be the first dongle to support full PC games. In January of last year Dell introduced a dongle which plugged into a TV's HDMI port and turned the TV into a wireless monitor. That dongle was designed to work with your existing computer to mirror your existing monitor. Amazon could well have a similar goal in mind for their dongle (it would explain the rumor about support for iOS games) - assuming this rumor is true. One thing to consider: there might be two versions of the “Firetube”. A low end dongle for streaming only and a box with controller as a higher-end version. So both sets of rumors might be equally true. Also, this might explain the rumor about iOS game compatibility. My intel suggests a square streamer… which may contradict TechCrunch. But I’m not 100% confident in reading the tea leaves. 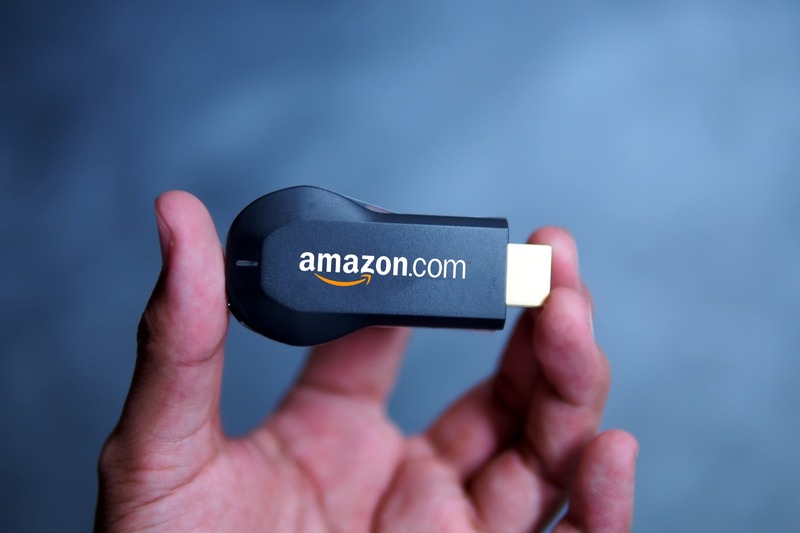 Also, I’m wondering if there may be two Amazon things – a smaller, cheaper, simpler streamer and a more powerful STB. Hm. In terms of the beaming you describe, Amazon signed up for the DIAL protocol and Miracast, WiDi, etc are pretty mature at this point although niche as far as consumer understanding. It would make sense to have two devices, especially since the streamer could be a lot cheaper and targeted as a commodity device. All the streamers do basically the same thing, right? That effectively makes them interchangeable commodities, and that could be to Amazon’s benefit. They can probably out-market everyone but Google. Roku has 1200 channels for streaming. And a pretty decent installed base. Plus at least two brands of TVs that come with their streamer built-in. Never mind MS, Sony, and “also-ran Apple”. Amazon is hot stuff but this is a pretty tight market: they’re going to need a gimmick. I looked into Roku for the first time today. I hadn’t realized it was so cheap. Yes, that’s a lot of content, but having a thousand streaming channels is like having 1,000 cable channels. It’s far too much for anyone to really comprehend or need. Yes, Roku has a thousand channels (including Amazon Instant video) but Amazon doesn’t need to match that selection at launch. They just need the several hundred most popular and they’ll be able to sell their device to a lot of people. Actually, a dozen or so of the right ones gets then into the game. But the number of Roku’s channels is a reflection of how mature their product and services are. If you read the reviews, you’ll see that their search feature is unequaled, even by Google. Microsoft has similar cross-channel search but that’s it; nobody else comes close. They don’t need several hundred. Apple TV doesn’t have several hundred. And you’re overlooking the fact that the Kindle Fire HDX line already has screensharing via Miracast and I’d say that’s a lock for whatever STBs they put out – meaning potentially ANYTHING on the Fire could end up on the TV (like Airplay). Amazon also has way more marketing power than Roku – take over the front page of Amazon.com for a days is all it’ll take to make them a contender – and there’s room for multiple parties in this space.